Superdry women’s Anita t-shirt from the Dark Romance collection. 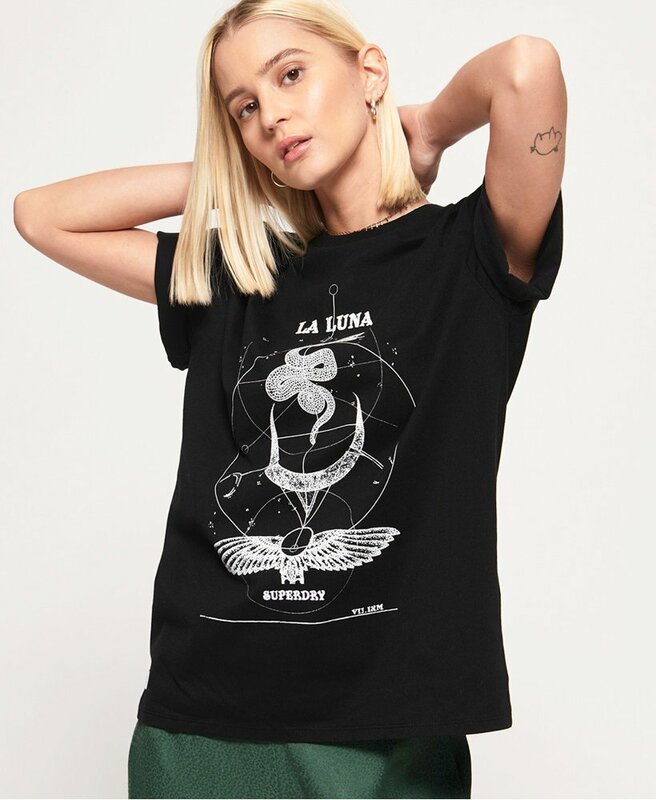 This limited edition t-shirt has been designed in an oversized fit, making it a great versatile piece to have in your wardrobe. Featuring a crew neck with new age rock print on the chest, why not pair with skinny jeans or layer under a slip dress to elevate your everyday style. The Anita t-shirt has been completed with a Superdry logo badge above the hem.